Attention is everything. Without it, all else is a temporary fix and no long-lasting change is possible. Iam making a cup of tea in my favorite purple-flowered mug when I smell smoke. I look through the windows behind me and see plumes of smoke through the trees. I call the fire department and they tell me there is a fire down the road, that it’s not contained, and that we might have to evacuate our home. They’ll let me know. My husband, Matt, is away—he never seems to be around during the panoply of biblical California disasters (earthquakes, fires, mudslides)—so I will have to deal with this myself. My heart races. I feel panicked. But then I think, “This will be fine. Sometimes bad is good.” I remember a haiku by Zen teacher Masahide that I read just yesterday: Barn’s burnt down, now I can see the moon. Since I have the luxury of time, I walk around the house looking at the things we’ve accumulated—my mother’s antique Bombay chest, doors from Bali, a cabinet from Japan. The photographs of Matt and me at our wedding, of my mother and me at my twin nephews’ bar mitzvahs last year. I put five framed pictures and three photo albums in a pile near the front door. I walk into my closet and I look around, a bit dazed. All these clothes. The only time my father hinted that he knew he was dying was a few weeks after he was diagnosed with stage-four lymphoma, when we were walking past his closet. He said, “My clothes. What’s going to happen to all my clothes?” As if they had lives of their own and would miss his legs, his arms, his wrists, or had meaning beyond his insatiable hunger for things and his inability to understand the meaning of enough. I look blankly at my shoes, my sweaters, my pants. If our house burns down and I am left with only the clothing I take now, what would I want? What can’t I live without? I finger an embroidered jacket, think about throwing it in my car, but then I realize I haven’t worn it in a year and although it was once my favorite piece of clothing, it isn’t now. I leave it hanging next to the black wool jacket with the short sleeves and the distressed gray corduroy jacket. I call my neighbor Susan—whose husband is a volunteer firefighter—to find out if she knows anything more about the fire. “What fire?” she asks, voice rising. And then Susan begins to scream. “I’m in a wheelchair! I’m alone! I’ve just had back surgery! I can’t move!” I find myself thinking of the movie Sorry, Wrong Number, when the wheelchair-bound Barbara Stanwyck overhears a plan to commit a murder that turns out to be her own, but I keep this thought to myself. I tell Susan I will pick her up if we need to evacuate. I move slowly, as if underwater. I put jewelry in a backpack—my wedding ring, my father’s Masonic ring that he wore until the day he died, my grandmother’s earrings, my mother’s enameled snake bracelet, my father’s first watch. I zip up the backpack, walk out to the car, and put the bag in the trunk. I can’t decide if I am numb or if I am enlightened because I’ve taken nothing else besides my purse, a computer, the stuffed toy pencil my first editor left me when she died, medicine, some underwear, the photograph albums, my favorite sweatshirt, our house insurance policy, our dog. As I drive I keep thinking about my jackets, my father, our stuff. About what enough actually is. Then, for some reason, I remember my college friend Linda. It was my senior year and I was a dinner guest at Linda’s mother’s house. Linda and I were bingeing buddies. She was the one who shared a gallon of Breyer’s vanilla fudge twirl ice cream with me, and mined for the chocolate veins with her fingers. The one who, when making a batch of Toll House chocolate chip cookies, used the entire recipe to bake two huge cookies. That way, she told me, we only eat one cookie apiece. At her mother’s house, Linda was sitting at the head of the table, scooping out ice cream into delicate porcelain bowls with violets and geraniums painted on their lips. Each one was passed around the table until everyone but me had their dessert. I looked at Linda and said, “This one’s for me.” She nodded her head. “I get it,” she said, and proceeded to pile so much ice cream in the bowl that it began to drip down the red dahlias painted on the side of the bowl. The fact that I was already full from the dinner of fried oysters and gumbo didn’t factor into my desire for that ice cream, not for one second. My motto was that if some was good, more had to be better. I was haunted by a wild hunger for something I couldn’t name, and while food didn’t fill it, having more of what I didn’t want was better than having nothing at all. The word manna comes from the Hebrew word mah, which means “what,” or “what is it?” In Exodus the Torah says, “. . . in the morning there was a fall of dew about the camp. When the fall of dew lifted, there, over the surface of the wilderness, lay a fine and flaky substance, as fine as frost on the ground. When the Israelites saw it, they said to one another, ‘What is it?’—for they did not know what it was” (16:13–15). And, a few verses later, “. . . and so the House of Israel named it manna” (16:31). Each day, when they awoke and greeted the day, they would say “What is it?” for every day this manna was new, fresh, different from the day before. And no matter how much manna each person gathered, it was always exactly what that person needed—and although it tasted different to each person, it left each one satisfied and nourished. They couldn’t store manna, hang it in their closets, or put it in the refrigerator like leftover pizza. They couldn’t buy it, barter it, or use it against each other; there was only enough manna for that day. And no one had more than anyone else. But somehow, manna miraculously appeared each morning for forty years of wandering in the desert. Man, oh man. From that perspective, refrigeration and closets sure messed things up. Because now we are wandering in the desert again, but this time, it’s the wilderness of too much. Of feeling perpetually discontent and hungry for more, even when our bellies and our houses are stuffed. I tell Donna she’s right. I can’t make her stop. And in any case, force, cajoling, and exerting willpower have all proved incredibly ineffective where compulsive eating is concerned. But, I tell her, I am nonetheless curious about two things: who she is taking me to be at the moment, and what she hopes that continuing to eat will give her. We don’t know what we’re feeding, but we know we want more. We’re not sure what the sadness is about or why we feel inconsolable, but we’re sure the solution is to take more, have more, eat more. As if the answer to everything that makes us uncomfortable is more. As if it’s a choice between having more of what we don’t want or nothing at all. A beloved spiritual teacher once told me that I kept protecting myself from losses that had already happened. I kept dragging the past into the present, and carried it into the future. The deprivation of childhood, the scarcity of tenderness and of belonging—and my attempts to rectify them—kept repeating themselves because that’s all I knew. I had no language for sufficiency, no way to see it, no way to recognize what was actually in front of me. “If a pickpocket had stood before Jesus,” another teacher said, “all he would see is pockets.” We see what we believe. When we look at the world with hungry eyes, we only see lack; everything—people, meals, situations—looks like food we are desperate for. But the second we name what we are doing, the second we pay attention to it, we are no longer merged with it. We are no longer wandering in the desert or hoarding bowls of ice cream or starving for love. We are the awareness that notices that we are wandering in the desert, hoarding ice cream, starving for love. Attention is everything. Without it, all else is a temporary fix and no long-lasting change is possible. Most of us already know this; we’ve tried hundreds of quick fixes: diets, affirmations, workshops that promise abundance, instant changes. Sometimes I ask a group of people how many of them have been on a diet. They all raise their hands. Then I ask how many people lost weight on that diet. All hands are raised again. Then: How many people gained weight on said diet? Again, everyone. Finally, the last question: How many people believe that another diet is the answer now? Everyone. We don’t want to know what we already know. This is the part about having enough that has nothing to do with food. And this is the harder part because we live in a culture that worships more. We are so brainwashed into believing that more is better that we no longer question what it costs or whether it adds anything to our lives. We keep believing that there is an elusive tipping point when more will finally become enough, but no matter how thin we get or how much money we make, that point doesn’t get any closer. And in the meantime we spend our days riding the roller coaster of dissatisfaction, discontent, and disease. (Or, as one of my students said, “I would die to be as thin as I was five years ago, when I would have died to have been thinner.”) Until a disaster comes along, like being given a terminal diagnosis or evacuating your house because there’s a fire down the road. Then, suddenly, the urgency of what is happening breaks the trance of more. And after the panic subsides, we find ourselves right smack in the middle of the fragile, unrepeatable, never-ending now—which, it turns out, is the only place from which we can ever know what enough is. In the end, I did both. But each time I descended into the hell realms of shame, I knew I would feel worse. And each time I made a choice to bring my attention back to the fact that I could still breathe, walk, and drink tea from my favorite purple mug, I felt lighter and happier than I’d been in a long time, even before we’d lost all our money. That seemed magical to me. But then I realized that before we lost our money I was entranced by lack and the worry of not enough. And after losing our money I kept choosing to focus on this breath, this step, because when I listened to my thoughts—and focused on all we’d lost, and on what we were going to do, and how dumb we’d been to put all our money in one place—I felt as if I was going insane. The difference wasn’t the money, since I’d felt we didn’t have enough when we did, and that we did have enough when we’d lost everything. The difference was where I chose to place my attention, and that I became fierce about not descending into the nightmare of my thoughts. Having enough came down to moment-to-moment choices of attention. It’s as if we slide back and forth between the desire for more (love, earrings, experiences) and fear that we will lose what we already have. Later in the afternoon on the day that Susan and I evacuated our homes, we were notified that the fire was contained. After helping her back into her house, I walked (back) into mine with the dog, photograph albums, sweatshirt, computer, and jewelry. The awe at having a home and for all the things—heat, roof, walls, showers, refrigerators, food—I take for granted burned through my usual trance of managing “one damn thing after another” (as Churchill described history). For that evening and the many weeks that followed, I was awash in thank you, thank you, thank you. For being alive, for being given another day with a roof over my head. For having love, sky, breath. It’s as if we slide back and forth between the desire for more (love, earrings, experiences) and fear that we will lose what we already have. In the movement from one pole to the other, we are always whirling in the trance of deficiency in which we equate being alone with loneliness, restraint with deprivation, being silent with being empty. Or at least I do. I get seduced by the promise of adding yet another ornament to the tree of myself and forget to pay attention to the heavenly invisibles. And then I remember. And then I forget. And remember again. This reading group guide for This Messy Magnificent Life includes an introduction, discussion questions, and ideas for enhancing your book club. The suggested questions are intended to help your reading group find new and interesting angles and topics for your discussion. We hope that these ideas will enrich your conversation and increase your enjoyment of the book. 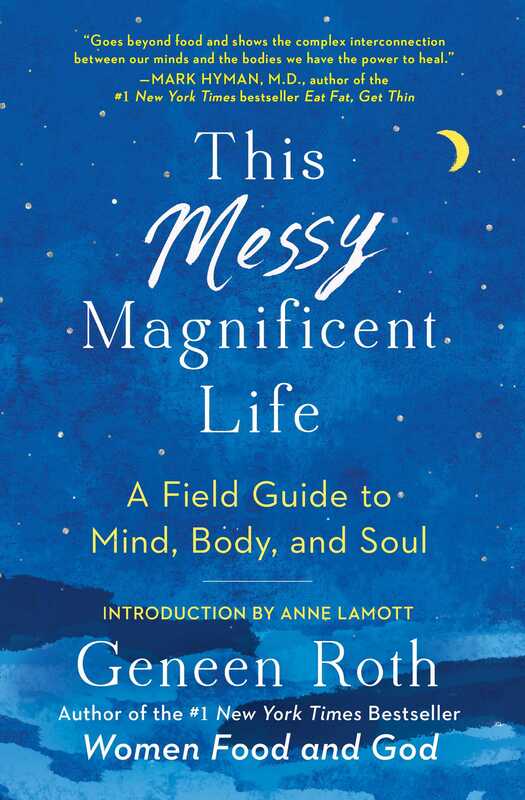 With humor, compassion, and insight, This Messy Magnificent Life explores the personal beliefs, hidden traumas, and social pressures that shape not just women’s feelings about their bodies, but also their confidence, choices, and relationships. 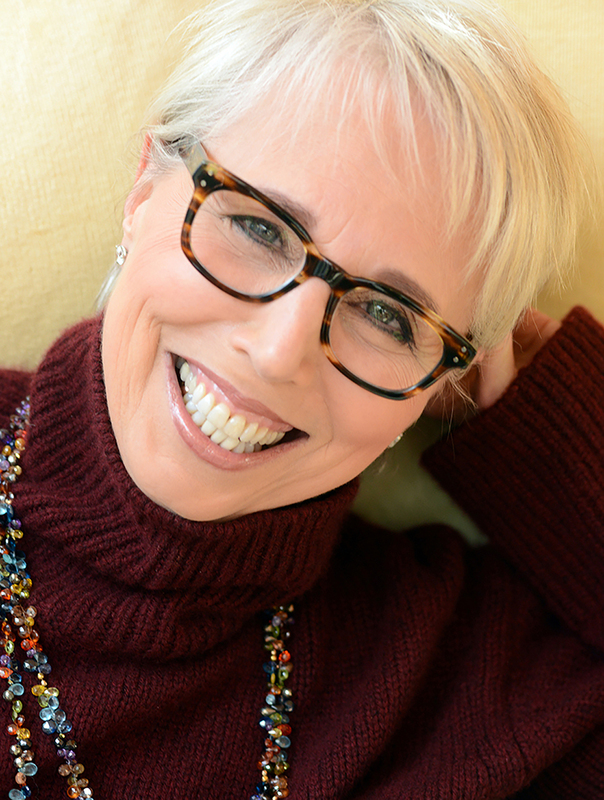 This provocative, enchanting, and sometimes laugh-out-loud look at the imperfect path women take to step into their own power, presence, and ownership is based on author Geneen Roth’s personal journey and her decades of work with thousands of women around the country. 1. In the introduction, Anne Lamott says of Geneen Roth, “Never before had someone expressed so brilliantly, and with such wit, that curiosity and self-love were the way home” (x). What does Lamott mean by home here? Does it have more than one meaning? 2. In relinquishing the “Project of Me” Roth says she had “tried versions of not fixing myself before, but always with the secret hope that not fixing myself would fix me” (3). Where are the hidden traps in hoping to fix yourself by not fixing yourself? Why is it difficult to let go of the idea of fixing ourselves? 3. Throughout This Messy Magnificent Life Roth stresses the importance of attention, where we direct our attention and how it affects our awareness of ourselves. Discuss the divisions between “you” and what you pay attention to. 4. Roth repeats “There is no away” (38) to herself as she recovers from a fractured vertebrae to remind herself that she and her body are indivisible. Do you find yourselves using an “away” in your own lives? Discuss how this might be disserving you. 5. Why do we often focus on a future that we put ourselves “on hold for” (49)? What are the benefits and disadvantages of that? 6. What does it mean to “muster equal parts kindness and fierceness” (84) and why is it important to do so? 7. Is it possible to know who we “are at the deepest level” (125)? Why or why not? 8. On page 106, Roth says, “Joy takes realizing what separates us from it and challenging our familiar stories” (106). What are some of the familiar stories you tell yourselves? How do they separate you from joy? 9. Roth describes “songs” (137) that play in her mind when circumstances trigger negative feelings, painful memories, or past selves that she wishes to leave behind. Why can’t these songs be deleted? What songs play in your mind? What are some ways to cope with our own personal songs? 10. If you stopped complaining for a time, as Roth did (148), would you notice a difference? Would those around you notice a difference? What might take up the space left by not complaining? 11. How do we miss “showing up for this messy magnificent life” (196)? How do we start showing up? What does that look like? 12. Discuss as a group which touchstones (197) have the most resonance for you personally and why. Which touchstones do you think you might carry with you? 1. Try the red string exercise from pages 52 to 61. Discuss as a group where your boundaries are, both mentally and physically, and where you would like them to be. 2. On page 126, Roth quotes author Annie Dillard: “The way you spend your days is the way you spend your life.” Read Dillard’s Pilgrim at Tinker Creek and discuss the way she spends her days as well as the power of observation. Try paying close attention to your own experiences for a day and then write about them. 3. Make a “messy” and “magnificent” collage that reflects your life and share it with your group. What does messy and magnificent look like for different people? What might these differences convey?